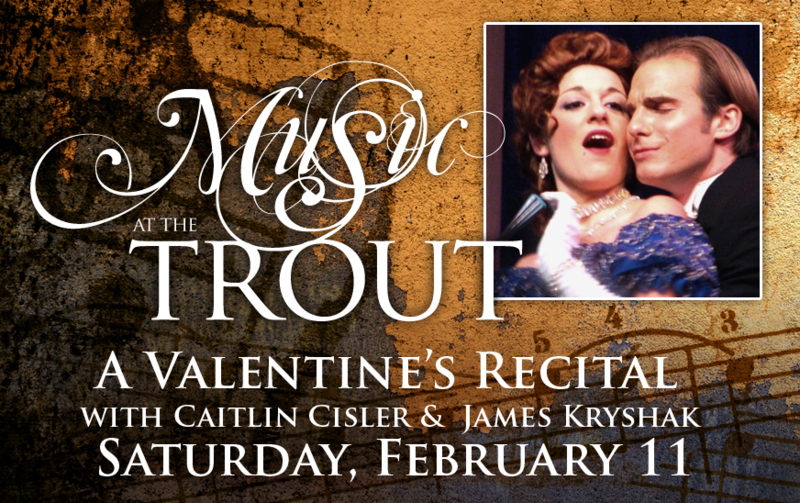 Join Caitlin Cisler and James Kryshak this Saturday, February 11th as they perform great soprano-tenor love duets in honor of Cupid featuring selections from West Side Story, La Fille du Régiment, Don Pasquale, The Merry Widow and more! Accompanied by Claire Mallory. To Purchase Tickets: Call 920-733-4089, stop by the museum or order and pay online at www.troutmuseum.org.